Bill has been responsible for AMMA’s Tasmanian operations for the past 18 years. He provides AMMA members with the design and delivery of supervisory training, advice and representation in adverse action and unfair/unlawful termination claims and strategic advice and representation in the enterprise agreement making process. Bill has also provide advice and representation for major construction and plant upgrade projects. Bill has provided advice and onsite assistance to a number of Tasmanian, Queensland and Victorian members in negotiating Agreements under the Fair Work Act and has conducted numerous industrial relations, Discrimination, OHS, bullying and human resources/supervisory related AMMA training. He has also lobbied the Tasmanian Government in relation to industrial relations, workers compensation and occupational health and safety reform and is a member of the Tasmanian Employer Committee on workers compensation and OHS issues. Bill has over 18 years human resources and industrial relations experience in the resource industry as well as 20 years’ experience in manufacturing, retail, and education and health services. He has been involved in major projects such as the construction of the Tasmanian natural gas project for Duke Energy, the Allegiance Metals processing facility, and the recent Triton project for Skretting (a multinational Norwegian fish meal manufacturing business) in Hobart. Bill has a specialist expertise in dealing with disciplinary issues including defending unfair dismissal and adverse action claims. Prior to joining AMMA, Bill spent 15 years with the Tasmanian Chamber of Commerce and Industry and has lectured on Employment and Human Resources law at the University of Tasmania and TAFE. 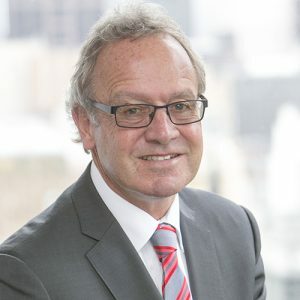 Bill holds a Bachelor of Laws Degree from the University of Tasmania, was admitted to the role of practitioners in the Supreme Court of Tasmania, and has a Certificate IV TAE.